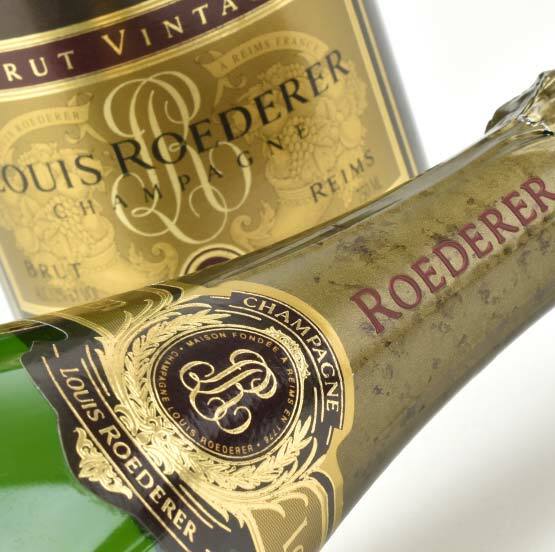 Louis Roederer was founded in 1776 but did not receive international recognition until 1876 when champagne satisfied the taste buds of Emperor Tsar Alexander II of Russia. The emperor became the Champagne’s original promoter as he asked for the bottle to be in a flat-bottomed, transparent lead-crystal bottle producing the new brand, Cristal. Their prestigious Cristal is produced only from their exceptional years when the Chardonnay and Pinot Noir have attained perfect maturity producing a wine of purity and elegance. The Rose Cuvee was produced 100 years after the Brut as they wanted to combine the precision of Cristal and the intensity of rose to produce a remarkable wine. Louis Roederer is one of the remaining few family-owned houses in Champagne, and has been producing exemplary wines that deserve a place in your cellar.